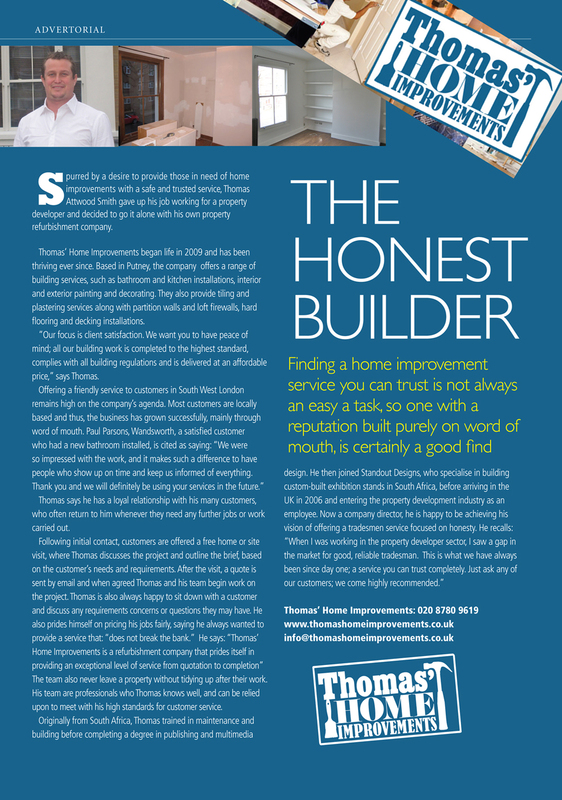 Welcome to the website of Thomas Home Improvements, your local builder in South West London. Customer satisfaction is our highest priority. Whether we are painting and decorating, plastering, tiling, hanging wallpaper, building a partition or firewall, laying hard flooring or installing your new kitchen or bathroom, we want you to have peace of mind. All our work is to the highest standard, complies with all building regulations and is delivered at a competitive price. See our SERVICES page to view an extensive list of what we can do for you today. Based in Putney SW15 we cover all of South West London and many surrounding areas. Feel free to contact us with your enquiry and we shall be happy to help you achieve your goals. Contact us to discuss your project needs now!